And, what many may not know, there were many “Christs” who came prior to Jesus, and who were not Jesus, nor do I think they were prefiguring or foreshadowing Jesus. They were the “Christs” in their own right, who came in their own time, who developed what it meant to be a “Christ” or “Messiah” in ancient Israel long before the word was ever applied to Jesus. I think it may be helpful to become acquainted with these “Christs/Messiahs” to better understand who Jesus was. Many Christians have come to believe that “Christ” was Jesus’ last name or surname. They so closely associate the words Jesus and Christ that we tend to think they are one and the same, both referring to one historical man who lived two thousand years ago in Palestine. While there is much reason to correlate them, they are not exactly the same. What is anointing? 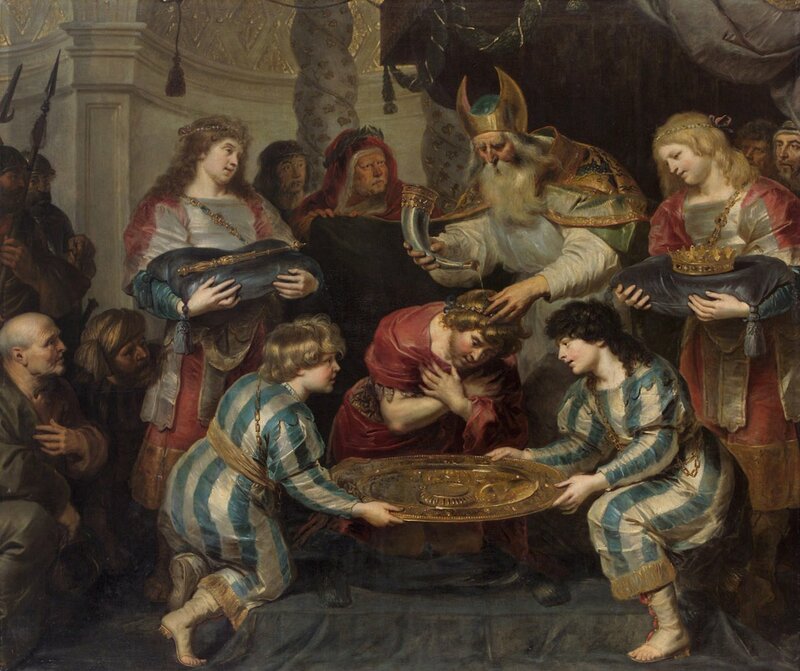 Briefly, it was an ancient ritual practice of applying oil to an object or a person as a sign of health and comfort, hospitality, an honorary gesture, in order to consecrate them, to mark them as holy, sacred, or set apart in a special way. And many people were so ritually anointed anciently, and thus became known as the “Anointed,” or Messiah/Christ, at the time. Specifically, they were the people in whom God’s “Spirit” was seen as being present. Below are a few of them. You shall put them on your brother Aaron, and on his sons with him, and shall anoint (mashach) them and ordain them and consecrate them, so that they may serve me as priests. 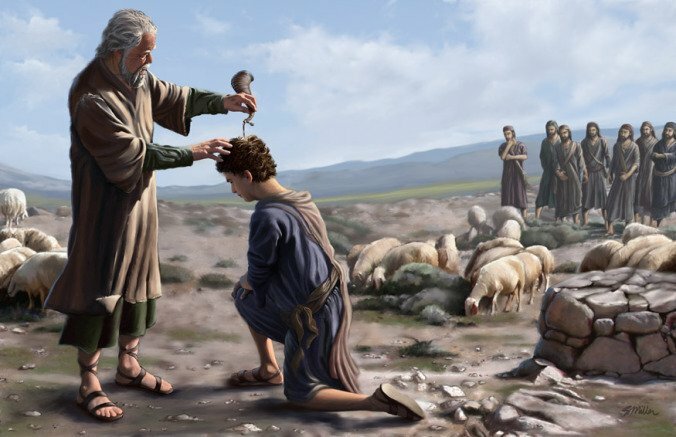 You shall take the anointing (mishchah) oil, and pour it on his head and anoint (mashach) him. If it is the anointed (mashiyach, or messiah/christ) priest who sins, thus bringing guilt on the people, he shall offer for the sin that he has committed a bull of the herd without blemish as a sin offering to the Lord. Also you shall anoint (mashach) Jehu son of Nimshi as king over Israel; and you shall anoint (mashach) Elisha son of Shaphat of Abel-meholah as prophet in your place. 1 Chronicles 16:22, NRSV. Repeated in Psalm 105:15. As seen in the last example, kings also came to be anointed to serve in their political office. The first king of the Kingdom of Israel and Judah, Saul, was anointed by the prophet Samuel. And he said unto his men, The LORD forbid that I should do this thing unto my master, the LORD’S anointed (mashiyach, or messiah/christ), to stretch forth mine hand against him, seeing he is the anointed (mashiyach, or messiah/christ) of the LORD. He sent and brought him in. Now he was ruddy, and had beautiful eyes, and was handsome. 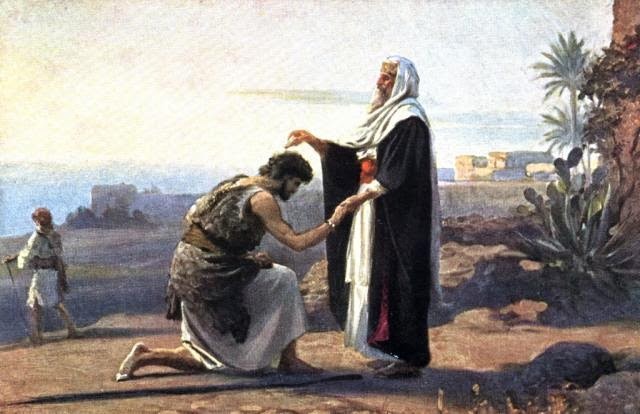 The Lord said, “Rise and anoint (mashach) him; for this is the one.” Then Samuel took the horn of oil, and anointed (mashach) him in the presence of his brothers; and the spirit of the Lord came mightily upon David from that day forward. As a side note, these words are replete with other mystical symbols, including the grasping by the right hand, the open doors, the gates not closing, the treasures in darkness, the hidden riches, the secret places, and the direct knowing of God, and a special name. 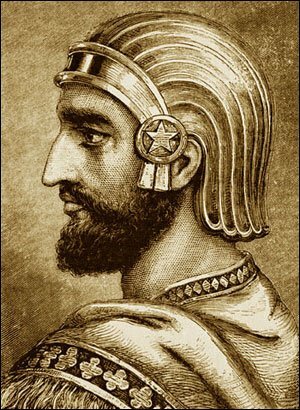 Cyrus the Great is the only non-Jewish person in the Bible to be called by this title of “Anointed One.” By this time it seems that the title had become somewhat detached from the literal anointing of oil ritual, and was more of an honorary title for the one in whom God’s Spirit was found, who had been inspired by God to do a great work among the people. It is doubtful that Cyrus was ever actually anointed with real oil. He was not anointed, but rather “anointed” as a great spiritual leader, a Messiah/Christ. This is the scripture from Isaiah that Jesus quoted many centuries later at the beginning of his ministry (Luke 4:17-21), essentially claiming that he was also an “Anointed One” (v21), one who had come in the power of the Spirit (v14). But the only time Jesus was literally anointed with oil, it seems, was when he was in the city of Bethany. A certain Mary, perhaps Magdalene, anointed Jesus’ head or feet with an ointment of expensive perfume and her tears, and perhaps used her long hair to wipe the ointment. There is debate about the details. James Tissot depicted the event as told in the gospels of Luke and John in the painting shown at the top of this article, The Ointment of the Magdalene (Le parfum de Madeleine), c. 1900. Jesus refers to this anointing as “preparation for his burial,” perhaps alluding to the practice of such perfumed ointments being used on dead bodies for sanitary purposes. It is insightful the very humble circumstances in which this “anointing” is recorded. There was no high priest or prophet doing this anointing. There was no elaborate religious ritual. There was no royal palace or throne. There were no trumpets, ceremony, regalia, parade or pageantry. It was done in a home, by a woman, perhaps a “sinful” woman (which has been interpreted as a prostitute), in an act of great hospitality and especially love, and in giving of herself without concern for money. Jesus says this act made this woman forgiven of all her sins, and that she was saved. May we go and likewise “anoint” others with our gifts and love, making them “Christs” and “Messiahs.” In this way we too will have the Spirit on us.